Gaming peripheral company Razer has begun work on a second smartphone designed to specifically target the games market. The company confirmed that development was underway on a second-generation Razer Phone in its most recent earnings report. 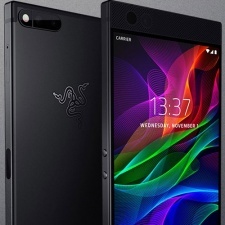 “The Group is very pleased with the success of its first generation Razer Phone, which was released in a limited run and has garnered very positive reviews internationally,” said Razer in the report. The first Razer Phone launched last November and was marketed towards its existing audience of high-performance gamers, with high-specification components. Besides the development of last year’s phone, Razer also partnered with Vainglory creator Super Evil Megacorp to promote mobile esports at various events - including the Razer Phone’s launch. Details of the new device is currently scarce, but expect a doubling down on gaming performance - as well as functionality with Razer’s smartphone-powered Android laptop, should the project ever see release.